The Mens L.I.M Comp Pant from Haglof is a pair of pants for when every gram counts. 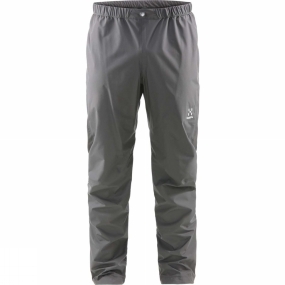 Made from ultra-light high performance Gore-Tex Active-tough enough for you to really work hard in, protective enough to keep you warm and dry in rough conditions. The material is built into a garment so light you'll barely notice you're wearing it.